As the United States and a number of European countries have expelled dozens of Russian diplomats over claims that Moscow was allegedly involved in the nerve agent attack on a former Russian spy in the UK, Austria's leaders have declared that it won't follow suit, despite pressure from London. 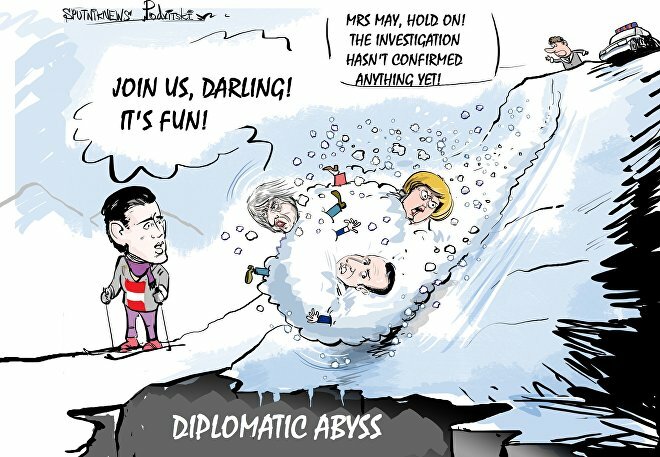 The British ambassador to Austria repeatedly pressured Vienna following the country's refusal to expel Russian diplomats in connection with the Skripal poisoning, Austrian Foreign Minister Karin Kneissl revealed. He also said that Austria stands ready to act as a mediator between Russia and the West in the spat over the Salisbury attack.